Responsible Research and Innovation (RRI) is a concept for responsibly addressing societal issues, including the sustainability of the natural environment, through research and innovation actions. Another way of looking at RRI is like a social quality assurance system, which is applicable to private and public funded research and innovation. RRI is simply asking researchers, scientists, businesses, policy-makers and research funders to be responsible socially, ethically, environmentally and politically. Why Use the RRI Roadmap? Achieve responsible and sustainable growth. ​Create new opportunities though common vision and co-defined action plan with your stakeholders. How to use the RRI Roadmap? gaining wide acceptance of co-defined actions. XPRO Consulting presented and promoted the RRI Roadmap. Great interest from many participants and the European Commission. XPRO Consulting with its partner SEVEN from Greece organised and help a workshop about Ocean Literacy and Responsible Research and Innovation in Ballast Water in the Maritime Transport. MARINAzine Issue #4 is now available! 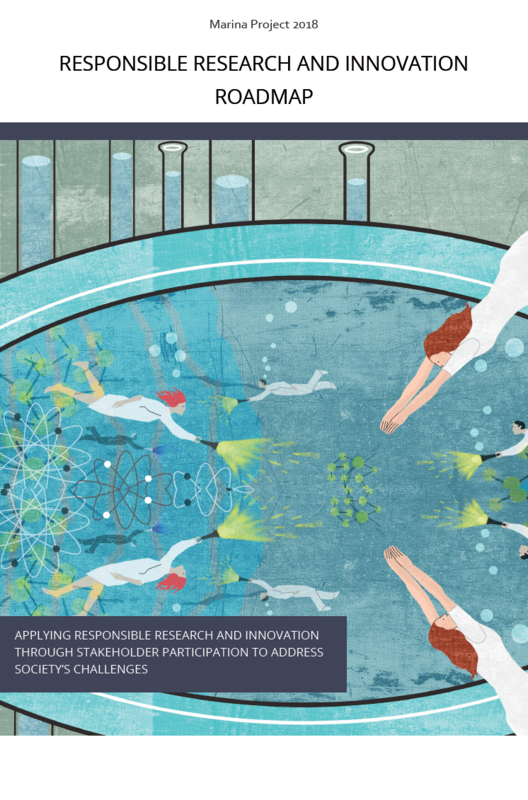 This issue is dedicated about Open Science and it describes the on-going transition in the way research is performed and researchers collaborate with societal stakeholders. XPRO speaks in this issue about the RRI Roadmap: where we are and what’s next? The RRI Roadmap comprises of 7 steps: how to apply RRI and how to make RRI “stick” in an organisation and its research and innovation processes. ​Did you miss our ESOF 2018 workshop? Get the presentations by clicking here! What: A highly interactive workshop about Responsible Research and Innovation in Industrial context. Why: Come and participate in reviewing the upcoming RRI Roadmap for embedding Responsible Research and Innovation in research and innovation activities. RRI is becoming a cross-cutting priority for the last 2 years of Horizon 2020 and the new Horizon Europe funding programmes. Format: Highly participatory with short "fire" presentations from MARINA and other EU-funded RRI-related projects for discussing and consolidating how RRI can enable Blue Growth. 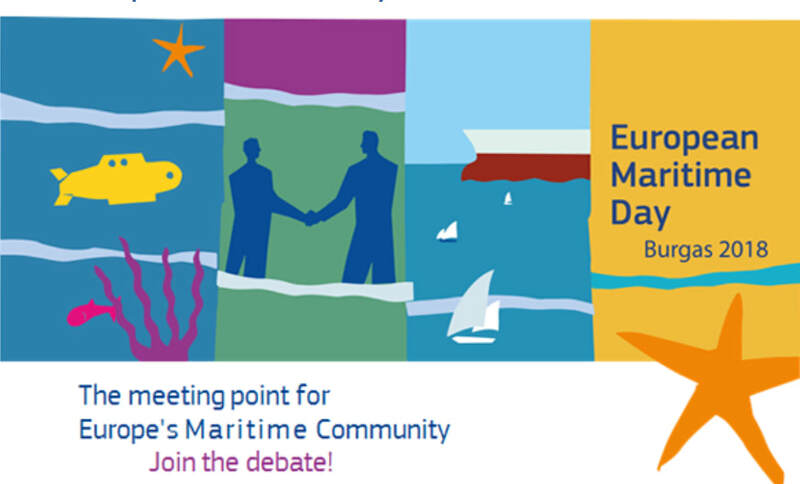 ​Where: European Maritime Day Conference 2018, in Burgas, Bulgaria. Why: To engage with other marine interested actors and to advance the Responsible Research and Innovation in Marine and Maritime Issues. Our French partner, Nausicaa, will pitch about the MARINA project at the "Networking coffee - Exhibition, Pitch Stage Research/Blue Growth and Networking Village" on 31st May at 10:30. "How may we develop the Marine Biotechnology as a source of local and sustainable economy in Cyprus?" Who: Scientists, SME owners, policy makers, citizens, funding organisations, civil organisations. Goal: Mobilisation and mutual learning workshop to openly discuss the challenges and possibilities for creating a national Marine Biotechnology strategy in Cyprus and how to develop this valuable "Blue Growth" sector that Europe is focusing on RRI. Format: Highly participatory using the CNTI workshop method Structured Democratic Dialogue. Organised by: XPRO Consulting and Cyprus Neuroscience & Technology Institute. "What Responsible Research and Innovation (RRI) actions are needed for sustainable Maritime Research, Technological Development and Innovation by 2030?" Goal: Mobilisation and mutual learning workshop to openly discuss the challenges and possibilities identifying actions for strengthening the maritime sector in Cyprus and Europe through RRI. Results: 1) A Strategy Roadmap for Maritime Industry 2) Identifying ways for advancing RRI in Maritime research and development. How to achieve Sustainable Tourism in Cyprus? contributed by Tourism. Cyprus plays a considerable role in the overall European Union scene and helps raise the total market share of the Mediterranean region to 37.1% . However, the tourism depends on the natural and cultural heritage of Cyprus, which must be preserved. Under the European funded project MARINA, societal stakeholders (scientists, citizens, tourism industry representatives and policy representatives) met, discussed and agreed on an action roadmap for achieving sustainable tourism in Cyprus. The meeting was organised and facilitated by XPRO Consulting and its Cypriot partner Cyprus Neuroscience and Technology Institute. Download the executive summary to see the roadmap in greater detail. The workshop is one of the 34 workshops organised by MARINA to raise awareness about the European marine issues and to embed Responsible Research and Innovation in marine sectors such as tourism. The MARINA Newsletter highlights RRI in its first issue: “MARINAzine. Our engagement with the Ocean. Issue #1 – July 2017”. The Ocean Conference hosted by the United Nations raised awareness about the status of the ocean, the current actions to improve its condition and what must be done in the near future. For the first time non-governmental organisations together with businesses, scientists and politicians sat down to discuss marine issues and decide on solutions. XPRO Consulting was present and actively participated promoting Responsible Research and Innovation in relation to the EU-funded project MARINA. More than 1390 Voluntary Commitments have been submitted. XPRO Consulting with its partner Nausicaa submitted on behalf of the MARINA partnership a voluntary commitment about "Responsible Research and Innovation for ocean conservation and sustainable blue growth"
​Every step we make affects the ocean, which affects our well-being. Driving a car, washing clothes, keeping our house cool, going on holidays, manufacturing, innovating --- all of these actions affect the ocean and its balance. The EU-funded MARINA project is aiming in making us aware of our responsibility and to embed Responsible Research and Innovation (RRI) in our thinking and actions. Public Engagement: involve the society in research and innovation processes. Make them understand the challenges and ask them to provide their input, express their needs and engage them so that it takes responsibility of its future actions. Gender Equality: involving both men and women in research and innovation enriches the process and makes the results more relevant to the society. Create an equal opportunity environment for both genders. Governance: Be responsible and accountable for your actions. It does not matter if you are in a public organisation, university, research institution, small or large company, you are above all a citizen and a human responsible for the society we live in. Take responsibility and accountability of our actions for a more sustainable environment.